Engineered wood flooring is not all the same. Engineered wood flooring has become quite popular as an alternative to solid wood floors. Typically, an engineered wood floor involves a prefinished hardwood floor with two or more layers of wood in a single plank. The top layer is usually made of hardwood while the lower layers use a less expensive material. There are many varieties of engineered wood flooring on the market and they vary a great deal in quality and durability. Low quality engineered floors, while initially less expensive, may actually have a higher cost of ownership and lower customer satisfaction in the long run because they must be refinished or replaced sooner. When you’re looking for engineered wood flooring that is designed with the highest quality and for the greatest durability, consider engineered wood flooring from Carlisle. Carlisle: the best in engineered wood flooring. Carlisle Wide Plank Flooring is a New England-based provider of quality flooring products including hardwood like oak and cherry wood floors, pine floor products and reclaimed wood. To create our engineered wood flooring we have combined the knowledge of our craftsman, our Wide Plank Specialists and our 46 years history of building solid wood flooring. Along with top-of-the-line flooring products, Carlisle provides each customer with extraordinary personal service and attention, offering guidance and advice during every step of a residential or commercial installation. Advantages of Carlisle’s engineered products for wood flooring. Top quality. Our engineered products are fashioned from the same high quality timber as our solid wood floors. Remarkable beauty. Our cutting techniques give our engineered floors the same look as our solid wood products. Durability and longevity. While the industry standard is only 1/8″, our floors have a wear layer of 3/16″, giving you a longer lasting floor that can be refinished more often. Larger dimensions. Our floors can be crafted up to 10″ wide, with an average length of 6′ – twice as long as and three times wider than the industry average for engineered wood products. Green manufacturing. Our floors are free of formaldehyde and measurable VOCs. Strong core. Our 11 layers of high quality birch backing is the best in the industry. Greater thickness. 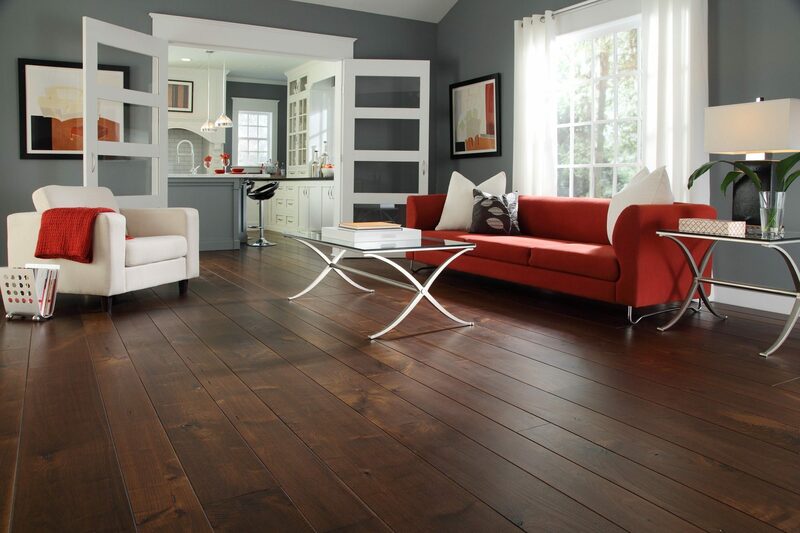 Our floors are manufactured up to ¾”, to give you the feel of a hardwood floor. More choice. Made-to-order floors allow for greater customization – choose a light or dark wood floor, from a variety of species like oak or cherry, and from a variety of finishes for the greatest customization. Precision milling, for easier installation and a more beautiful finish. Finishing options. We offer a wide variety of finish options – prefinished wood flooring makes your project go quicker, or you can site-finish. Learn more about engineered wood flooring.